We have yet another import from the Uyghur homeland of Xinjiang available here in Philadelphia. 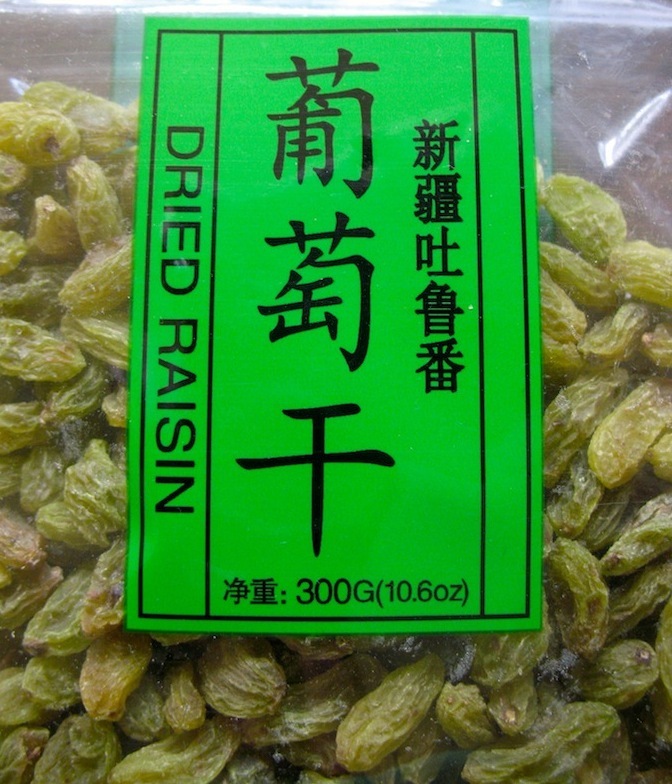 These are raisins from Turpan, a city particularly well known for its sweet fruit (including grapes and melons). I found these at the newly reborn Heng Fa Market in Chinatown, but I have already seen them elsewhere as well. They are sweet and delicious. So, in addition to figs and melons, we have a slowly growing selection of Xinjiang (or Xinjiang-similar) offerings! This entry was posted in - Featured Food Discoveries, - Featured Markets, Central Asia/Uyghur food, Chinese food and tagged 葡萄干, fruit, raisins, Uyghur, Xinjiang, 新疆. Bookmark the permalink.